Who are Mentors and Mentees? Where are the Scholarship Funds Going? The Future Institute Road to Success Mentorship (FIRM) pairs successful professionals and community leaders with Concept high school graduates who are eager to learn and grow as they navigate college life and select a career path. FIRM mentees gain valuable real-world experience and insight they can’t get in a classroom and might not get at home. Future Institute is a branch of Concept Schools and we are a not-for-profit 501c3 educational organization. The goal of FIRM is to increase college persistence among our students by at least 10 percent. As a sponsor, you will be supporting students’ aspirations from high school through college. We believe mentorship is the key to college persistence and the added reward of scholarship helps first generation college students invest in their future. Even if you can sponsor one student for one year with a scholarship $1,000 has a huge impact on their life and their college career. First generation college students who have a mentor are 10-15% more likely to advance to another year of college. 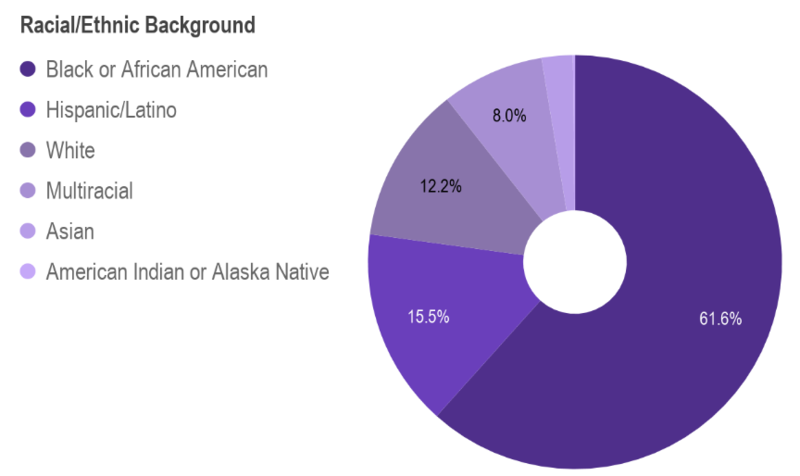 Studies show that first generation college students (41% of black students and 61% of Hispanic students) are twice as likely to drop out before their sophomore year. 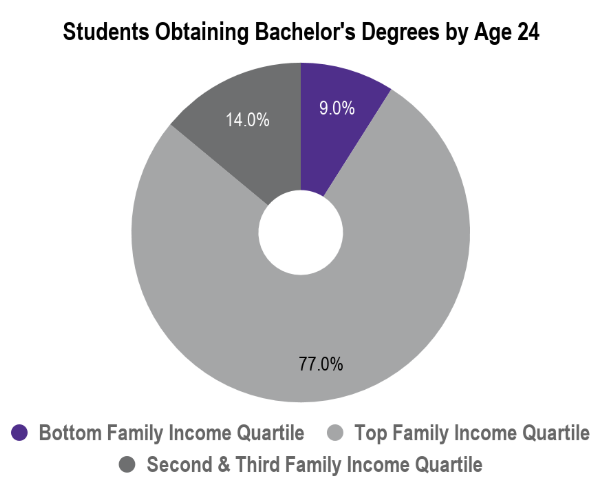 The chart below illustrates a report from the University of Pennsylvania and the Pell Institute for the Study of Opportunity in Higher Education (2013). Personal Development: Mentors coach mentees through their college transition, career planning, and life challenges through one-on-one meetings, assigned reading, and community service projects. Job Shadowing: Mentees receive first-hand insight into a career field of their interest. Project Completion: Mentors assign a meaningful and professional-level project for the mentee to complete and present in front of an audience. FIRM Mentors are volunteers who commit one to four years of professional and personal mentorship over the course of the mentee’s college career. Their professions and backgrounds range from medical doctors to elementary school teachers. FIRM Mentees are Concept high school students and graduates. For some, the FIRM program starts in high school and continues into college. The scholarship funds are sent directly to the student’s college or university’s financial aid offices. Scholarship funds can be used for tuition, books, class materials, lab equipment, and housing. Please note that this program continues throughout the mentee’s high school and college career, which means each year they are committed to FIRM, they receive a scholarship. Once you have registered and created a profile in the FIRM portal online, you will be contacted by one of our staff members. A meeting will be arranged to meet with your mentee for the first time. You will be in continuous communication* with your mentee about scheduling and recording meetings, assignments, job shadowing, and your project. *It is very important that you update the FIRM portal with assignments and their completion because this is how the staff tracks your mentee’s progress on the requirements for the scholarship. If your mentee’s progress is not recorded, then they will not earn the scholarship. How is the program monitored? Mentors monitor and track their mentee’s progress in the program areas through careful data entry in FIRM’s online portal. Regular and timely communications with between mentors and mentees are tracked within the online portal as well. How are scholarship funds administered? The scholarship funds are administered in two installments in December and May. We sincerely appreciate your interest in sponsoring and the amount you are willing to sponsor is at your sole discretion. Each mentee earns $1,000 per year of successful FIRM completion. – For example, if a mentee starts in high school in tenth grade and continues until their college graduation, they could earn up to $6,000 in scholarships total. Who are other sponsors and partners? Please visit our Funders and Partners page on the main Future Institute website.